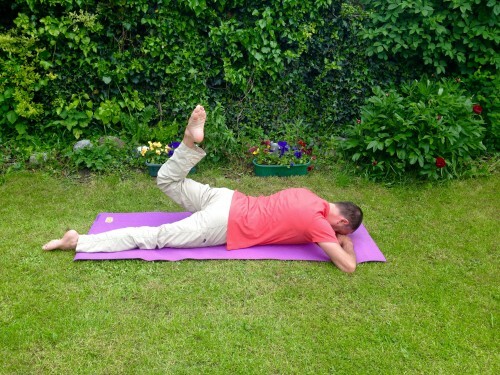 This multi joint stretch will help you with your stiff low back, weak glutes and hips. 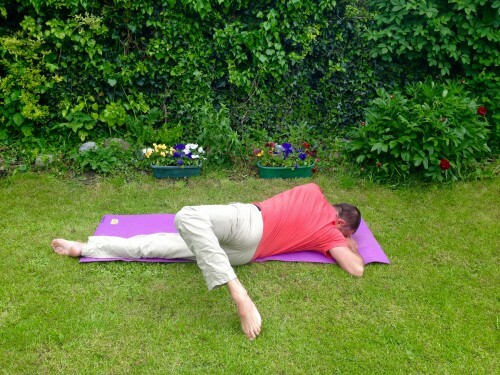 This stretch may even help reduce your lower back pain. Check with your physiotherapist if this is safe for you? 1. To do it, lie face down, as in the photo above. Link your fingers and rest your forehead on the backs of your hands. Keep your elbows on the ground at all times Bend your left knee to about a 90 degree angle. 2. Lift your left thigh off the ground, toes towards the sky. Keep your left knee high for the next part. Breathe and stay relaxed. 3. Bring your left toes up and over to the opposite side of your body, aiming to touch the ground with your big toe. Don't force this though, it may take you some time to achieve this. Keep it pain free. 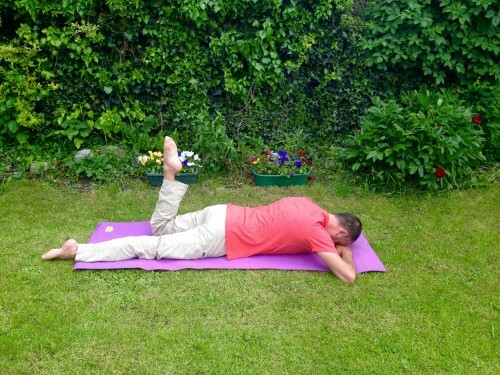 Bring the left leg back to the start position and rest your foot on the ground. Repeat the same technique on the right leg. Spend as long as possible alternating sides and enjoy this movement.